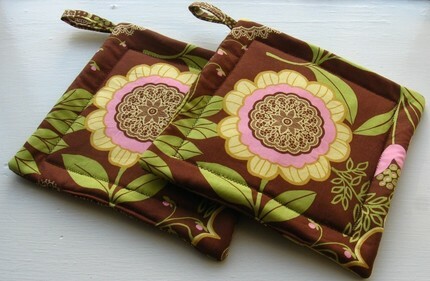 Lauren Darby of Originals by Lauren makes and sells all sorts of gorgeous handmade items in her Etsy shop like these neat Amy Butler Lacework potholders. You’ll also find matching aprons, quilts, reusable lunch bags, table runners, wall hangers and lots more. 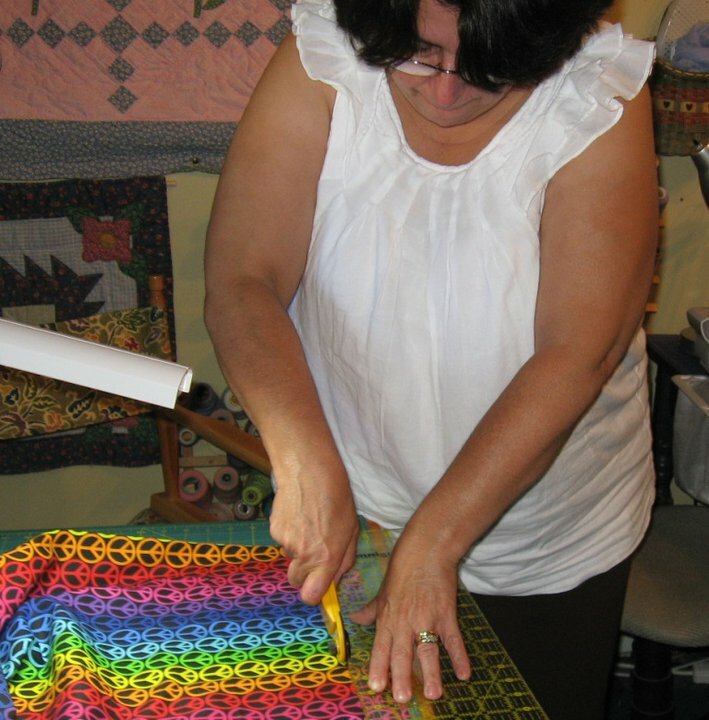 Lauren has been sewing since her mother taught her how in the sixth grade and now she sews full-time for her business. In addition to her Originals by Lauren shop where she sells assorted kitchen and household items, she has another Etsy shop called Originals by Lauren Too where she lists her handmade original children’s clothing and hospital gowns for men, women, children, and maternity. She creates her designs from a studio in her home and says “I like being my own boss, although I think I put more pressure on myself than a boss would sometimes.” Her latest projects include a new line of PDF sewing patterns – the first one went on sale last week and is for a vendor apron, the next will be for a child’s twirl skirt which she plans to also offer as twirl skirt kits so busy moms don’t have to shop for fabric as everything they need will be provided.